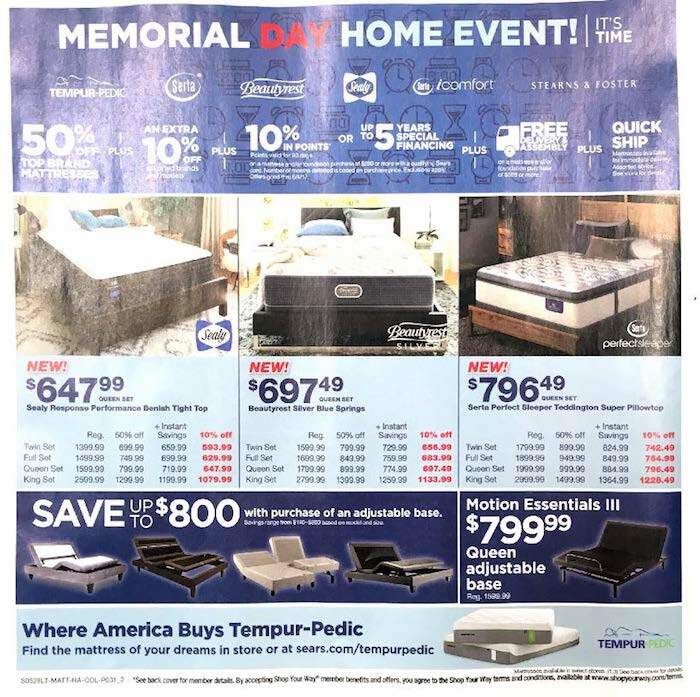 Here is the Sunday Sears weekly ad for this week! It is good from May 28 – June 3, 2017. 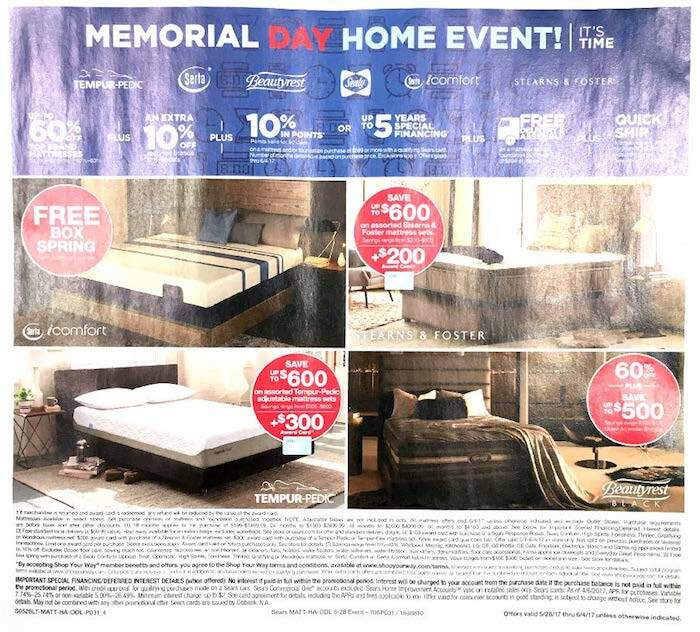 This week they feature deals on mattresses for a Memorial Day home sales event. Many of their promotions can be combined, so for example you can get a price discount, plus free delivery, plus an extra 10% in rewards points. This week’s ad is 6 pages in length and was released in the Sunday newspaper circular. 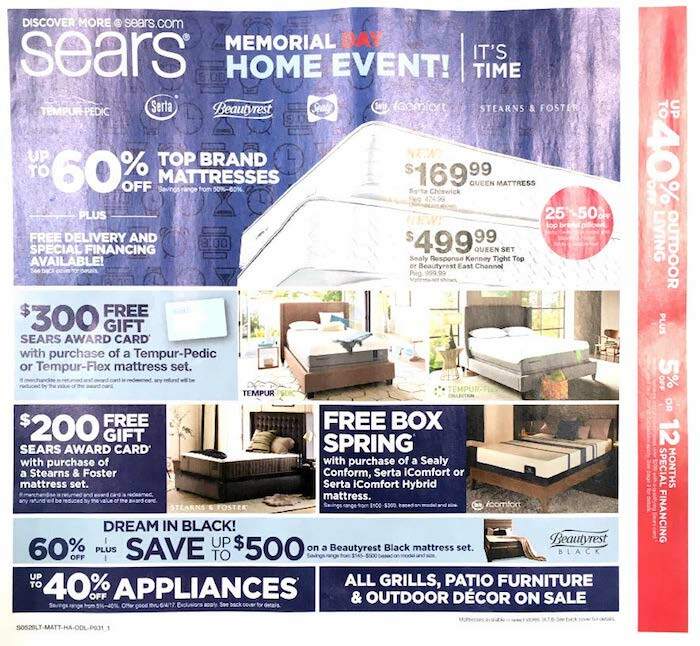 Sears publishes a sales circular every week that highlights their weekly deals. Sears is a box store retailer selling the majority of appliances, apparel, and housewares. There are 1320 Sears stores throughout the USA and Canada. A few of the Sears proprietary brands include Kenmore, Craftsman, DieHard and Lands’ End. They are also the nation’s largest provider of home services and installations. Competitors of Sears include Target, Walmart, and Kmart. 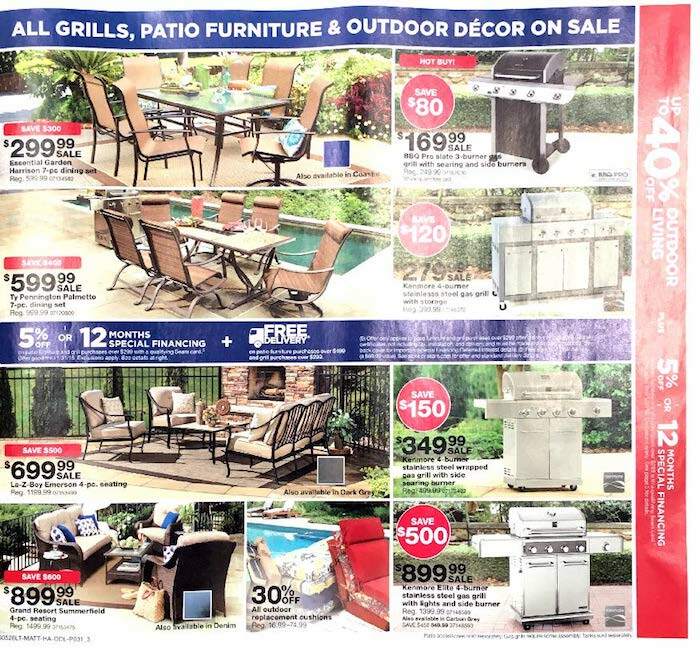 Here at Weekly Shopping Ads we highlight the newest Sears weekly ad and store sales circulars.